MB&F | 90'300 € Tax inc.
Six years have gone by since MB&F launched the Legacy Machine N°1 (LM1) series in 2011, establishing a collection of tradition-inflected Legacy Machines alongside the envelope-pushing Horological Machines. Six years is a blink of an eye in the history of watchmaking, but constitutes an entire generation of modern independent horology. The Legacy Machine N°1 Final Edition brings the LM1 series to a close, and does so with the signature MB&F flair for the unexpected. Convention dictates that you shouldn’t try and fix what ain’t broke — that products enjoying success and popularity should also get to enjoy longevity. The LM1 Final Edition overturns conventional thought by taking its last bow just as the Legacy Machine collection gains ever more acclaim and momentum. For this Final Edition MB&F picked steel over precious metals such as gold or platinum. The recent elevation of steel as a worthy case material for high-end watchmaking has a twofold outcome for the LM1 Final Edition — it echoes the strength and enduring appeal of the series, and it takes the value focus off the exterior elements to better highlight the beauty of the LM1 Engine. 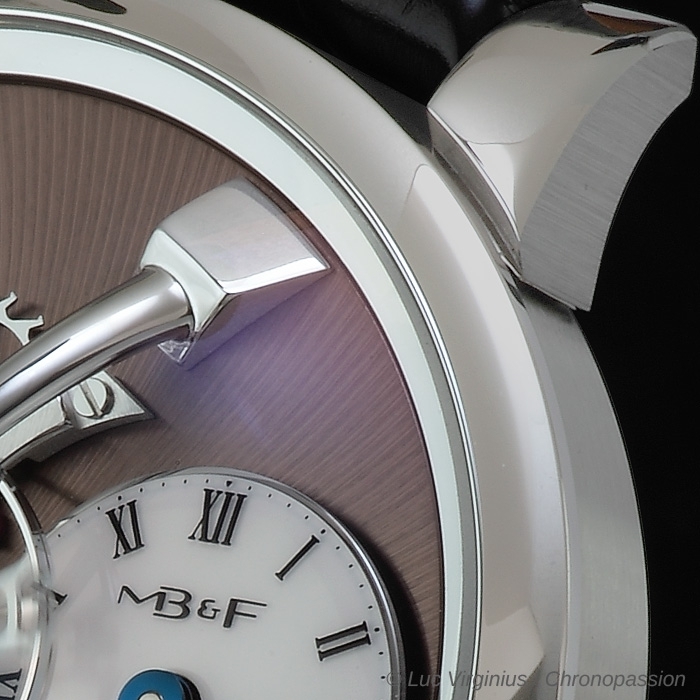 The dark chocolate-toned face of the LM1 Final Edition is not the first instance of this colour appearing in an MB&F creation. Wherever and whenever it occurs in the MB&F collections, the deep brown hue signals a special occasion, a reason to break out the treats, and the Legacy Machine N°1 Final Edition is no exception to this rule. 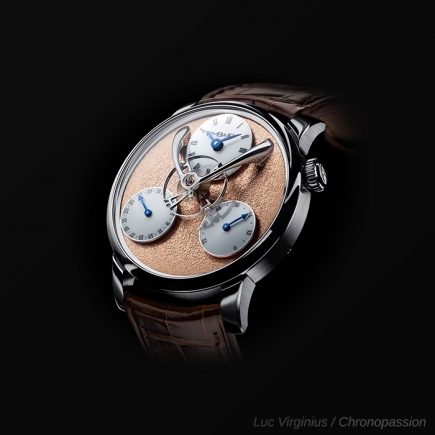 The launch of the last LM1 may be a bittersweet celebration for some — MB&F founder Maximilian Büsser pinpoints it at 85% dark chocolate — since the edition is limited to 18 pieces. The LM1 Final Edition is limited to 18 pieces in stainless steel, with a dark chocolate-brown face. Legacy Machine N°1 was the first series of the Legacy Machine collection and is now also the first in the collection to have a Final Edition. 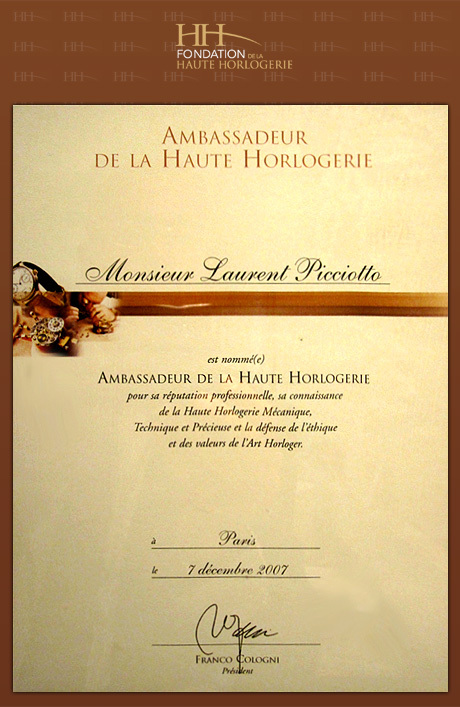 Prior to this, HM2, HM3, HM4 and HM5 received an edition that formally marked the end of series production. Completing an MB&F series is a major strategic decision and is central to the belief in continual exploration and development that is held by everyone at MB&F. Only by ending production of existing pieces are Maximilian Büsser and his team able to go on to future challenges while keeping the creative spark and momentum that comes with a compact organisation. Steel was chosen to house the Legacy Machine N°1 Final Edition, a precedent that may well distinguish any future MB&F Final Edition. MB&F has a perpetual capacity to create. 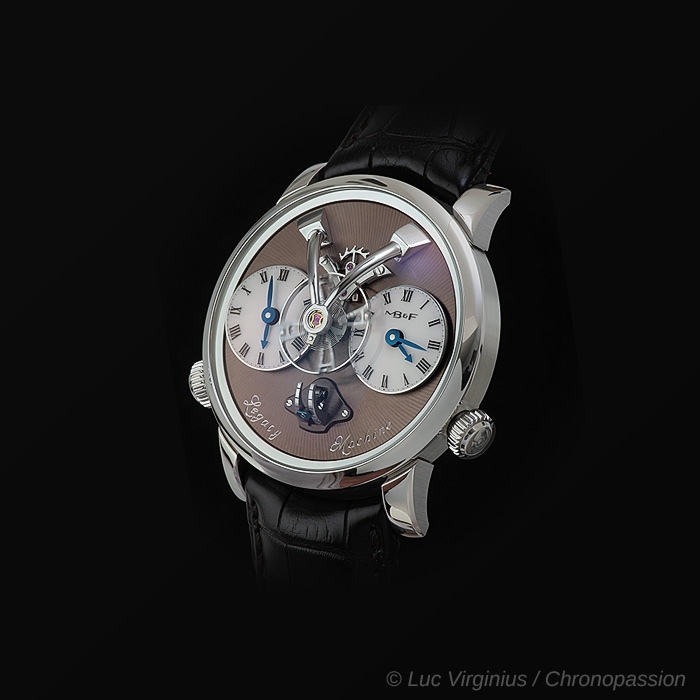 The Legacy Machine No.1 is an exemplar of haute horology. However, this Maximilian Busser machine is unlike the brand's existing horological machines. It was the inaugural member of the Legacy Machine family. 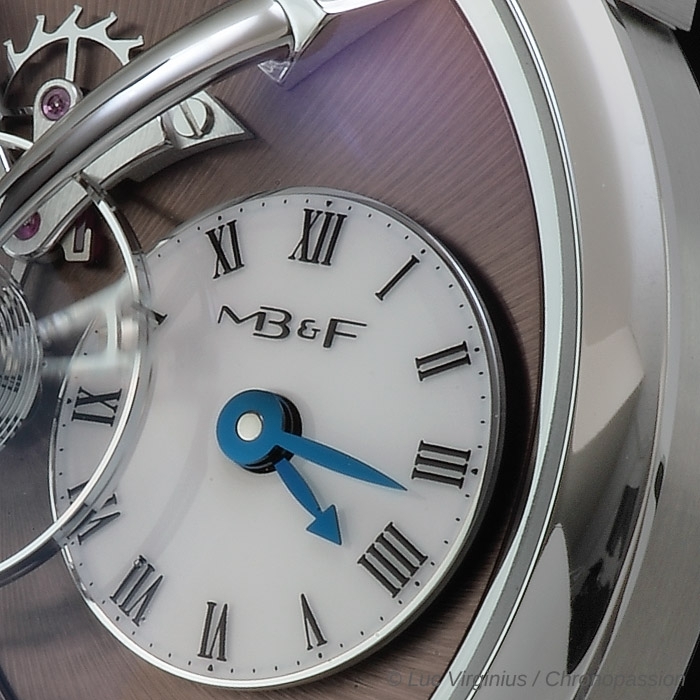 Historically, MB&F watches have eschewed tradition, wholeheartedly embracing neoteric design. 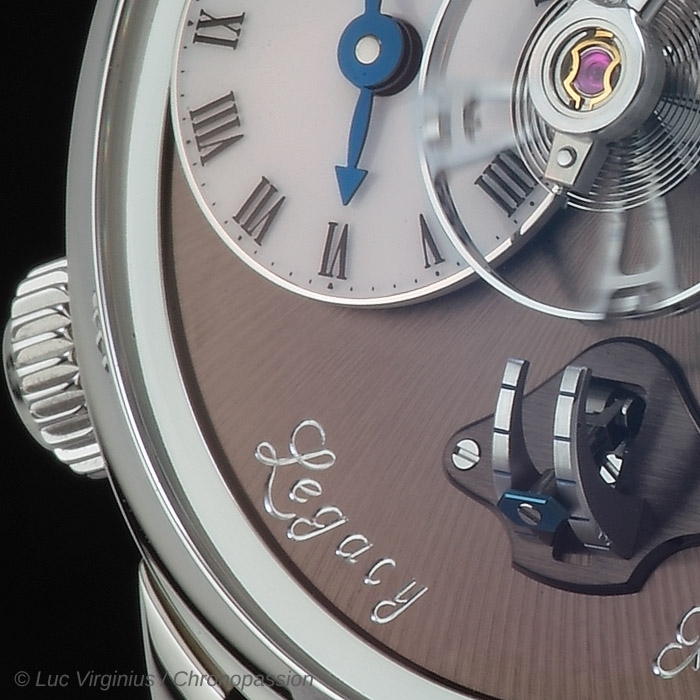 However, the exquisite Legacy Machine No.1 marries tradition and modernity in equal measure. Max Busser asked himself a question, 'What would have happened if I was born in 1867, 100 hundred years before my actual year of birth? What watch would I conceive with the help of my friends?' 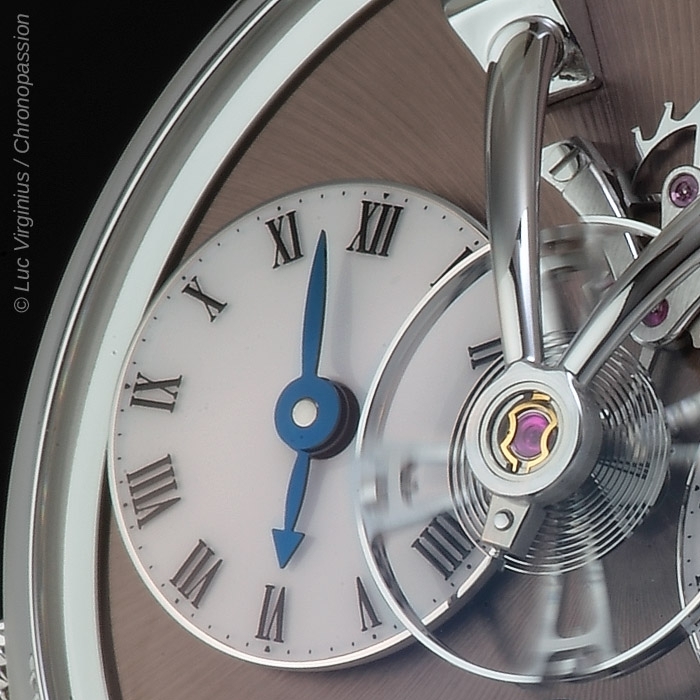 The answers to these questions led to the creation of the MB&F Legacy Machine No.1. 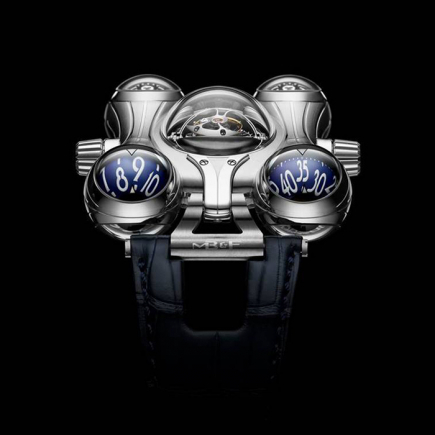 'Friends' are at the epicentre of the MB&F paradigm. Over the years, Max Busserand friends have expended much time, contemplating horological questions few even thought to ask. They have studied historical clocks as well space age rockets. Fusée and chain mechanisms, different types of calendar systems and innovative balances are further examples of the brand's blue-sky thinking. Each friend has made a contribution to the MB&F machines we see today. However, all MB&F watches rely on the remarkable skills of Maximilian Busserorchestrating the creation of extraordinary time machines. Max Busser's objective was clear. 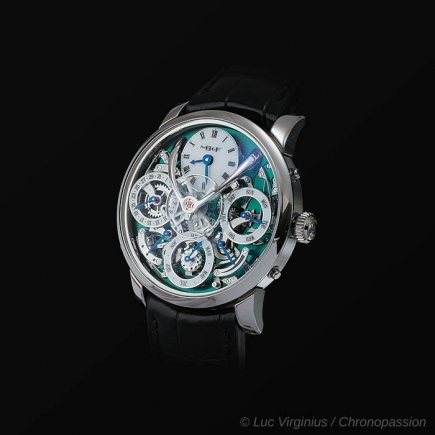 He wanted to realise the perfect synthesis of classical and contemporary watchmaking. 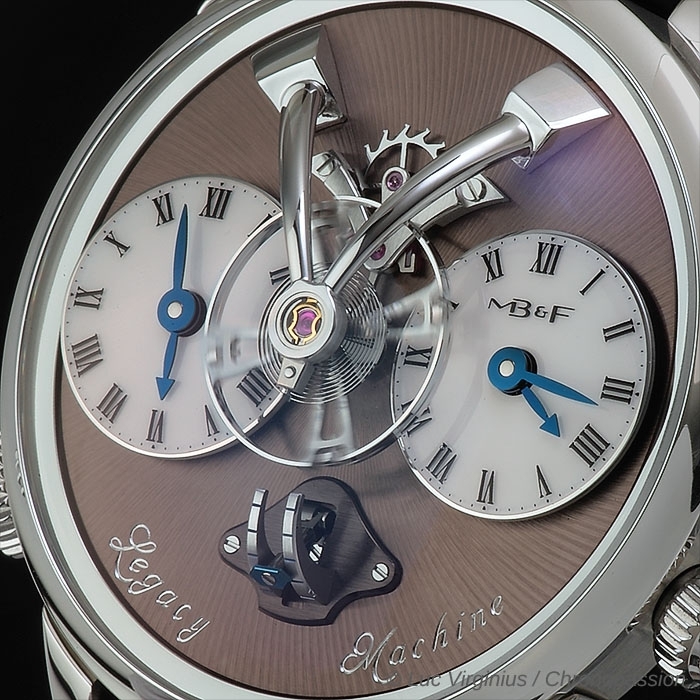 MB&F had already produced a rocket watch, a spider-influenced creation and mellifluous music boxes in collaboration with Reuge. The foundations were set, but MB&F's journey has continued with many ideas still waiting to be executed. The brand's horological excellence and boundless creativity has led to international recognition and adoration at the annual GPHG awards. In the centre of the dial sits the heart of the movement, the balance, breathing with life, seemingly in perpetual motion. 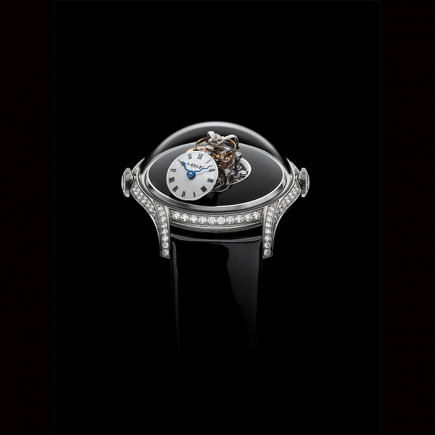 The position of the balance enriches the display with a beguiling motion. 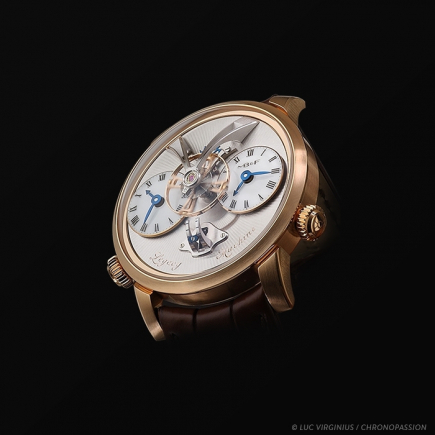 Nestling beneath the balance and its prominent bridge are two dials, each displaying hours and minutes independently, allowing the wearer to view the prevailing time in two different locations. Positioned adjacent the two dials is a unique vertical power reserve. 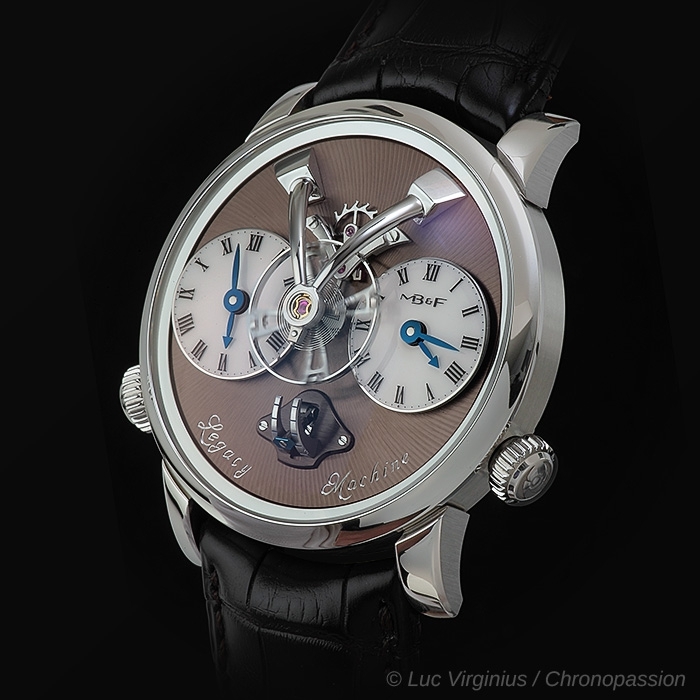 Its appearance resembles a sextant, an instrument synonymous with horology and navigating the seas. The MB&F laboratory has engineered a watch which not only embraces some classical design elements but stands alone from the brand's venerated Horological Machines, rockets and music boxes. The success of the Legacy Machine No.1 is clear. It has received widespread acclaim and has been awarded several prestigious prizes, including Red Dot and GPHG. The dial of the Legacy Machine No.1 is dynamic and effervesces with life, courtesy of the perpetual motion of the balance. It is the successful outcome of years of endeavour, where technical research and fastidious design fuse, that has led to this horological masterpiece. This luxury watch embraces classical watchmaking and features widespread use of hand finishing. The rear of the case incorporates a pane of sapphire crystal affording views of the flawlessly finished hand-wound movement within. Beneath the domed sapphire crystal, the large balance wheel can be seen, oscillating to and fro, captivating onlookers with its mechanical showboating. 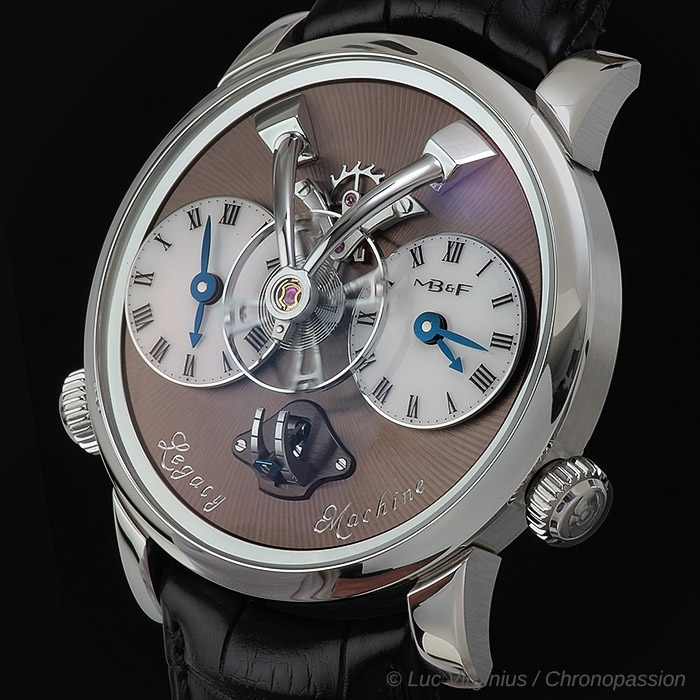 MB&F has demonstrated that it capable of taking classical products from established brands, such as L'Epée and Reuge, and infusing them with its own distinctive contemporary character. In collaboration with MB&F, these two brands, previously known for traditional products, have adapted to new challenges and created luxury products in the same vein as MB&F's legendary Horological Machines. This creativity has led to the release of amazing rocket-shaped music boxes and robot-inspired table clocks. An aspect common to these products is the palpable modernity of each breathtaking work of art. 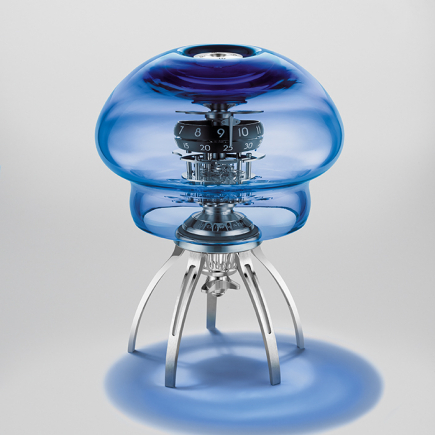 The MB&F Legacy Machine No.1 is the successful conclusion of Max Busser collaborating with his friends. It is the product of an unwavering desire to produce a fine watch imbued with thought-provoking design and peerless mechanical virtue. This timepiece is adored by legions of watch collectors who appreciate matchless horology endowed with eye-catching aesthetics. Similar to the rocket, table clock and music box made by Reuge and Sword, the MB&F Legacy Machine No.1 is a watch that references clocks of yesteryear while pushing boundaries with its neoteric design. At the heart of the Legacy Machine No.1 is the movement. It is placed centre stage, showcasing the balance which brims with dynamism as it computes the pace of time. 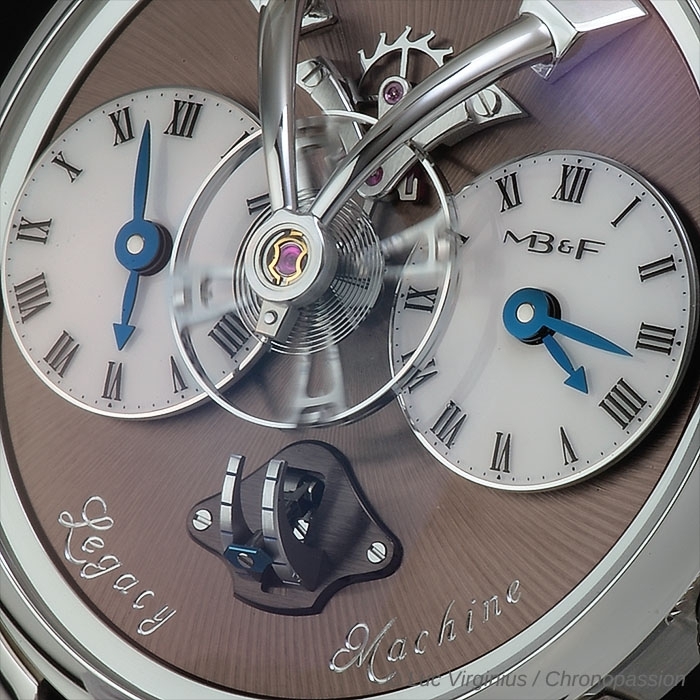 The MB&F Legacy Machine No.1 is offered in a choice of 18k red gold, 18k white gold, platinum, titanium and stainless steel. Some of these models are limited edition watches, providing a degree of exclusivity many connoisseurs will appreciate. Maximilian Bussercontacted his friend, Alain Silberstein, the two gentlemen had previously created the HM2.2 'Black Box', and Max asked for his creative input again. Silberstein took the classic Legacy Machine No.1 and breathed on it with an avant-garde puff of creative air. The spellbinding result of this collaboration, the LM1 Silberstein, was a visually striking watch offered in a choice of 18k red gold or grade 5 titanium. The Legacy Machine No.1 has repeatedly shown that nothing is final, everything evolves. Indeed, Max Busser and his friends exhibit a perpetual hunger for creativity and innovation, qualities that are evident with the various models bearing the name MB&F. 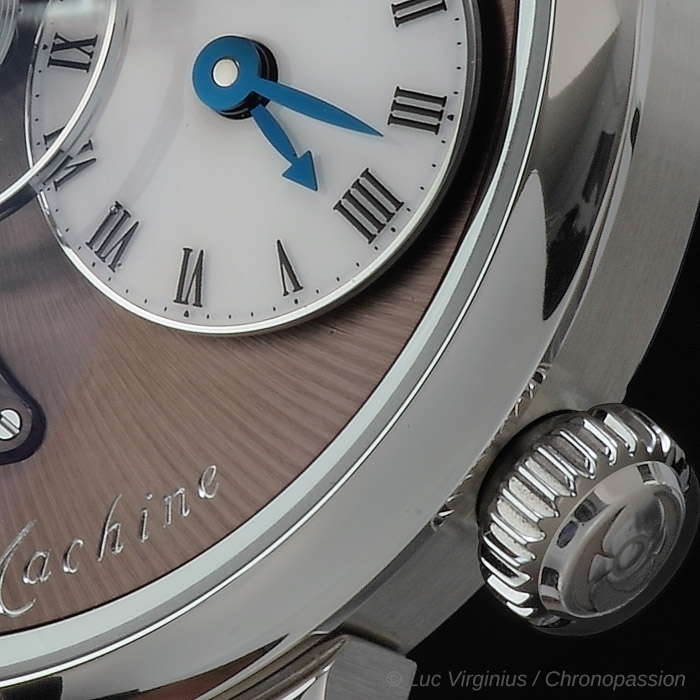 However, these are not the final words about the MB&F Legacy Machine No.1. 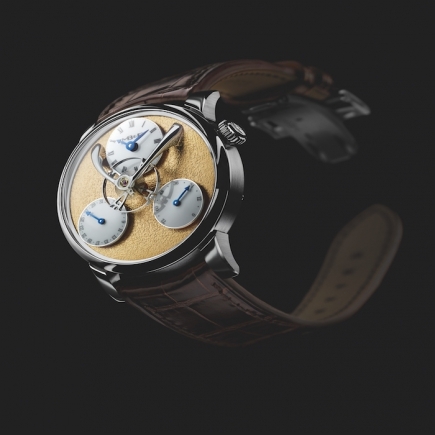 The creators of its movement, Jean-François Mojon and Kari Voutilainen have, once again, collaborated with Max Busser, creating the movement for the splendid MB&F Legacy Machine No.2. 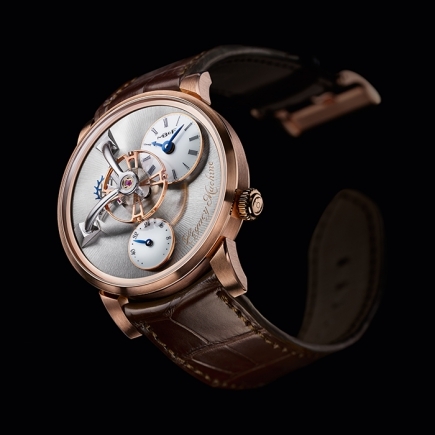 By calling on Mojon and Voutilainen again, Busserhas shown he appreciates the skills of the two esteemed watchmakers, recognising their horological prowess and shared pursuance of perfection. 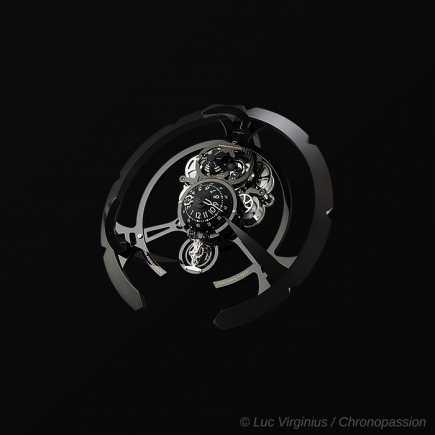 The balance bridge of the Legacy Machine N°1 Final Edition is new in the LM1 series. 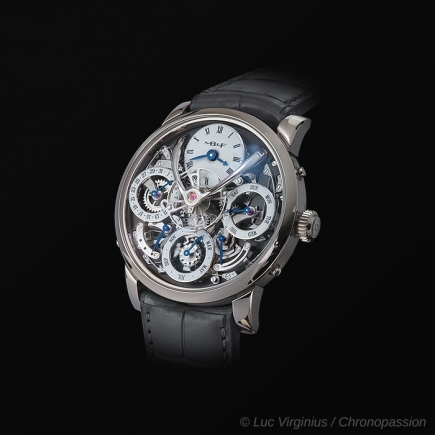 It follows the aesthetic code premiered in the Legacy Machine 101, which has since been propagated in the LM2 series via its titanium incarnation, and in the Legacy Machine Perpetual. The original LM1 came about as a reanimation of 19th-century design, particularly in association with technological advances. The openworked balance bridge, with its sharply defined angles, echoed the girders and crossbeams of industrial structures showcased at the famous World’s Fairs of that era. As the Legacy Machine collection grew into its own, its focus naturally shifted away from specific historical design references. A smoothly curved balance bridge with an elliptical cross section, milled from a single steel block and demonstrative of a high level of machining sophistication, was designed to fit the smaller proportions of the Legacy Machine 101. Thereafter, it made its second appearance in the 2015 Legacy Machine Perpetual and again in the 2017 LM2 Titanium. The lithe, mirror polished arms of the redesigned balance bridge set it apart from the satin-finished bridge of the original LM1 — a small detail, seemingly, but one that magnifies the impact of the floating balance. The polished balance bridge clearly stands out against the sunray-finished base, cinematically emphasising the aerial poise and height of the balance. - Steel buckle matching the case.